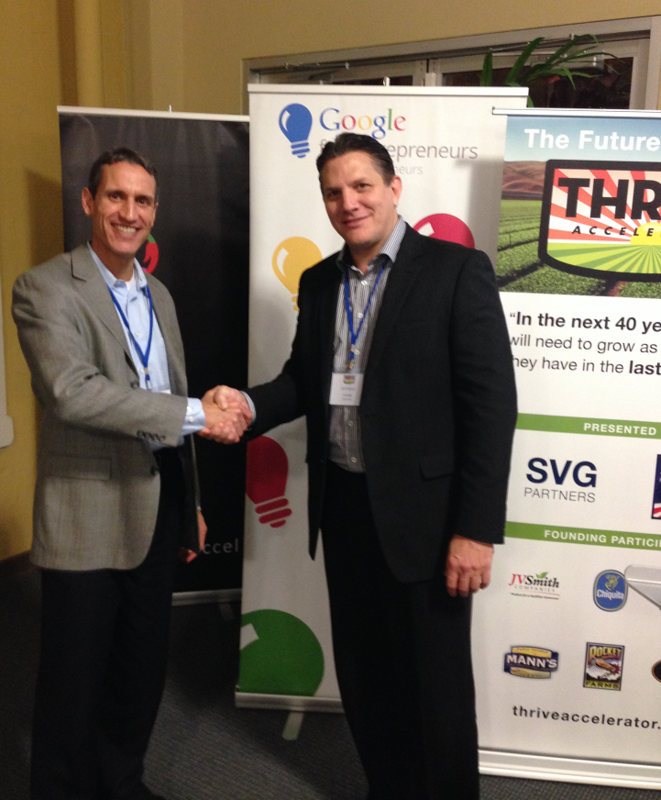 April 4, 2016 – Boulder-based GeoVisual Analytics once again participate in the THRIVE Accelerator as a result of winning the THRIVE competition. The THRIVE Accelerator is focused on helping high tech startups bring the latest innovations to the agricultural industry. GeoVisual competed with nearly 200 applicants from 35 countries worldwide to win 1 of 12 finalist slots in the 2016 THRIVE Accelerator program. GeoVisual was a 2015 THRIVE finalist and was invited by THRIVE to apply again for 2016 to continue expanding its footprint in the fresh produce industry based out of Salinas, CA. Each company’s final pitch was scored by a diverse group of senior judges drawn from agriculture, technology sectors financial and investment groups and universities. This included experts from Dole Fresh Vegetables; Taylor Farms; Land O’Lakes; Western Growers Association; Verizon; Wells Fargo; SAP; Alvarez Technology Group; Royal Rose; Crestlight Venture Productions; UC Davis and California State University, Monterey Bay. Representatives from these industry-leading organizations and universities will mentor the Finalists from April 4th through May, 2016. The Finalist companies will benefit from an 8-week acceleration program based on high-level mentorship, collaboration and direct access to the world’s top fresh agriculture companies in and around Salinas and the central California growing region. The unique collaboration is designed to meet future food demand and to increase global production through technology. GeoVisual was founded by Dr. Jeffrey Orrey in 2010 to develop advanced technologies to monitor and manage activities on the Earth’s surface using high performance computing, satellite imagery and ground-based sensors.